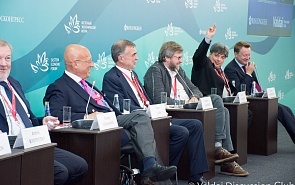 On September 11, 2018, within the framework of the Eastern Economic Forum in Vladivostok, the Valdai Club TV debates took place on the Russia-24 channel. A report, titled “Toward the Great Ocean – 6: People, History, Ideology, Education. Rediscovering the Identity” was presented during the debates.